Location: Home » News » vibrating screen often matches vibrating screen to be used in wet sand production line. vibrating screen often matches vibrating screen to be used in wet sand production line. With the increasing of natural resources, the requirements from the market is great, which promotes the rise of artificial sand production technology. At present, there are two ways of artificial sand production, dry sand production and wet sand production. In most cases, wet sand production is adopted, which needs the whole production equipment, such as feeding machine, jaw crusher, sand making machine, vibrating screen, sand washing machine, sand recycling machine and other equipment. Wet sand production line‘s production process is that stones are send into jaw crusher for primary crushing through stock bin. The sand crushed coarsely is send into sand making machine to be broken further by conveyor, and then they can be sieved in vibrating screen by belt conveyor. The final sand will be washed in sand washing machine. Larger particles stone by the belt conveyor to vertical impact crusher crushes finely, and then they will be sieved in vibrating screen. This is a closed- circuit. The main function of the vibrating screen in wet sand production line is to sieve the final sand crushed by jaw crusher. The standard sand is delivered to sand washing machine by belt conveyor. The unqualified sand that was sieved is returned to the crusher to be broken again. 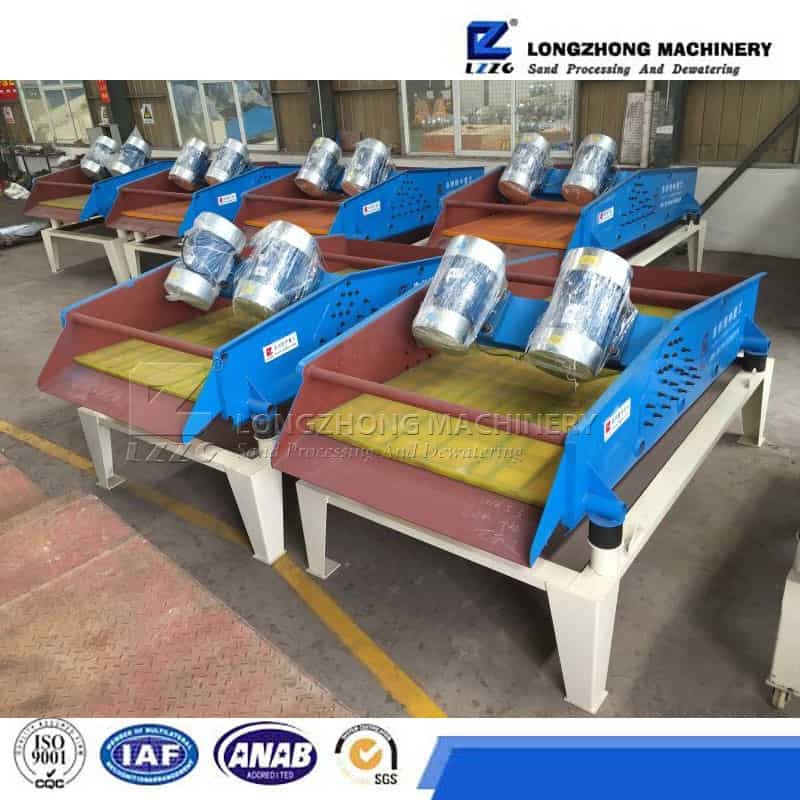 Sand washing machine is used after vibrating screen, whose main course is to wash standard final sand in order to improve the quality of sand. Only the two machines works together and cooperate closely, they can finish the work better. So , vibrating screen often matches vibrating screen to be used in wet sand production line.